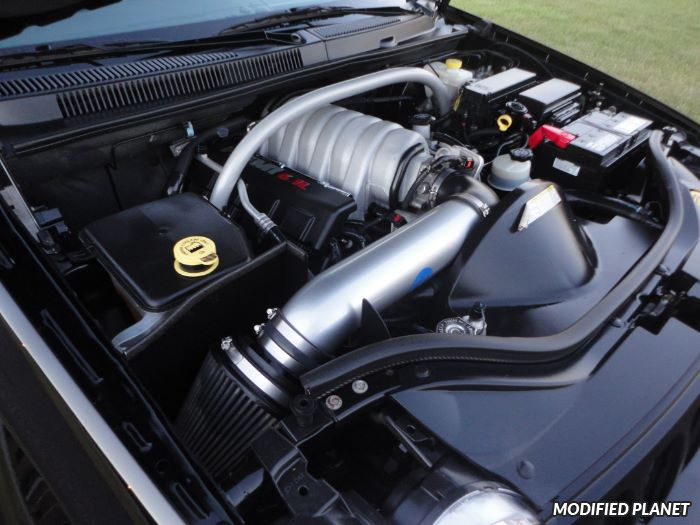 Modified 2007 Jeep Grand Cherokee SRT8 engine bay featuring a Mopar cold air intake system. The Mopar cold air intake system increases intake manifold pressure, reduces intake air temperature and produces more power. 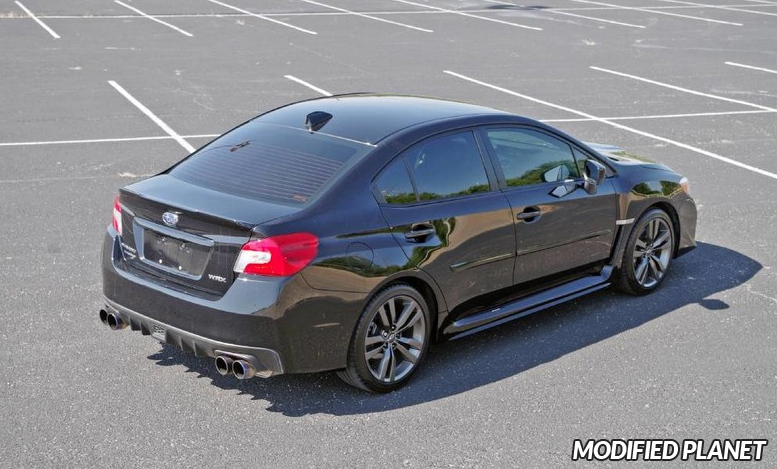 The Mopar cold air intake system is easy to bolt on and has a washable air filter that will outlast the life of any modified 2007 Jeep Grand Cherokee SRT8. 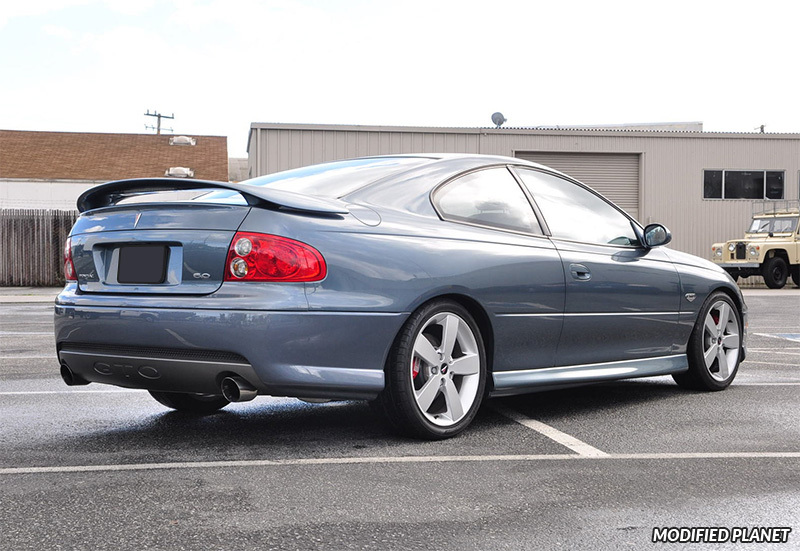 Magnaflow cat back exhaust system installed on a modified 2005 Pontiac GTO with Cyclone Gray Metallic paint. 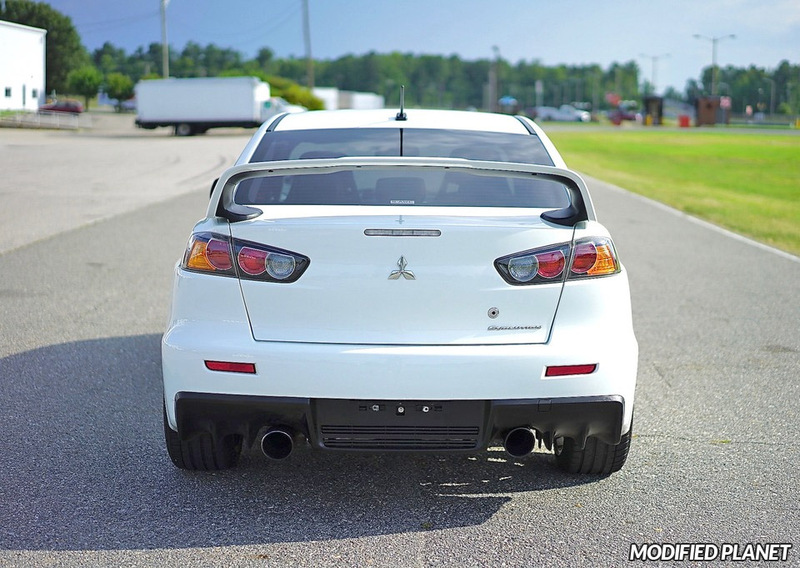 The Magnaflow cat back exhaust system features a straight-through flow design that provides exhaust efficiency, mandrel bent tubing, 409 stainless steel construction, increased horsepower, increased torque and a deep mellow exhaust sound for the 2005 Pontiac GTO. 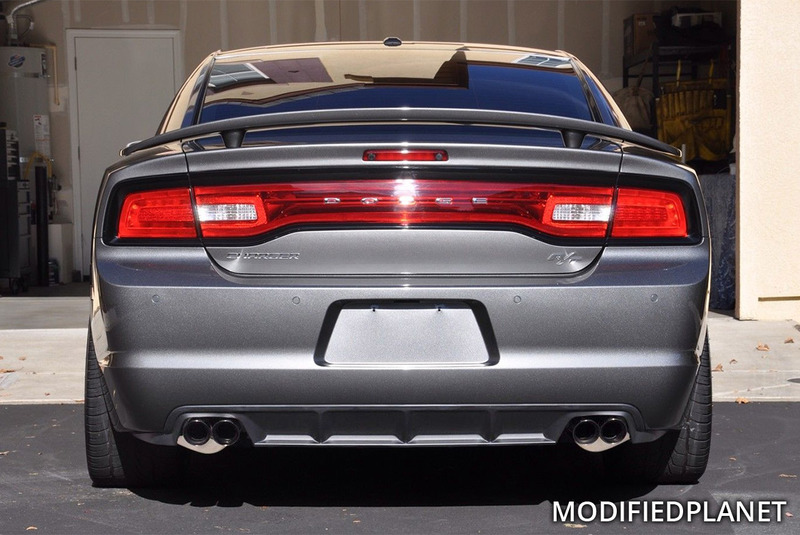 Corsa Performance cat back exhaust with dual exits and black exhaust tips installed on a modified 2012 Dodge Charger RT. 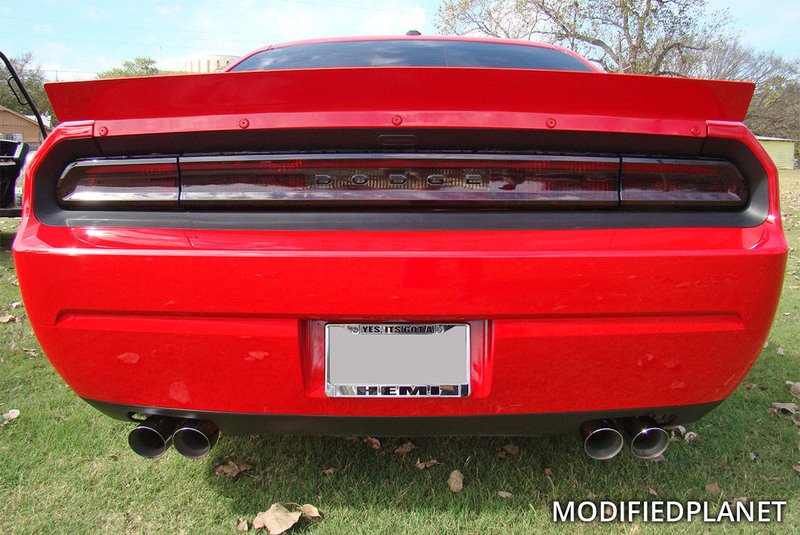 Magnaflow street catback exhaust with quad exhaust tips installed on a modified 2014 Dodge Challenger SRT8 with a Torred exterior paint.